To illustrate, this is the glacier still extant in the parking lot next door. It’s well over my head. 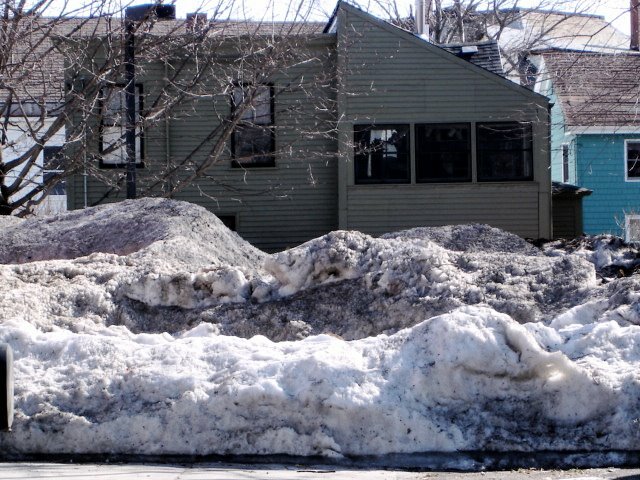 At least 5,000 cubic feet of compacted snow. It’ll be around for a while. And this is the back yard. Yes, what appears to be a man-made pile of ice is, in fact, a man-made pile of ice. 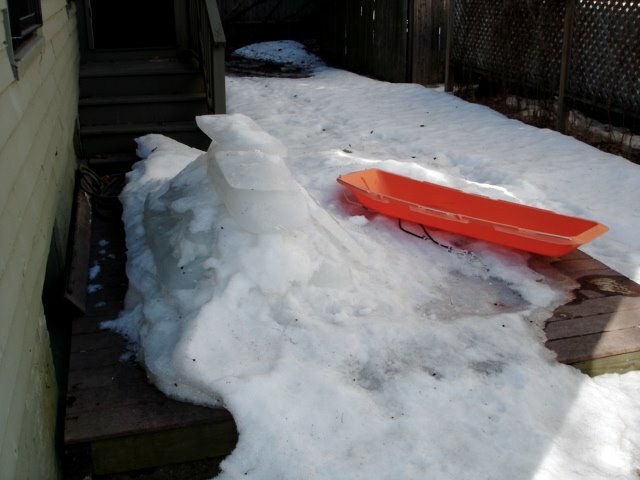 I’ve stashed several hundred pounds of it there (one orange plastic sled worth a time). I’m going to start using it to cool the fridge, when the weather gets a bit warmer. This entry was posted on March 25, 2009 at 8:23 pm and is filed under General updates. You can follow any responses to this entry through the RSS 2.0 feed. You can leave a response, or trackback from your own site.